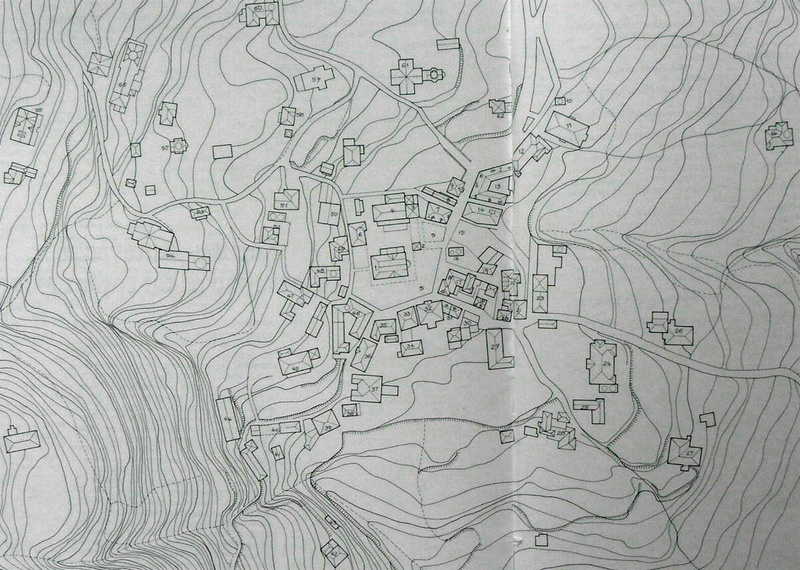 A map of Karyes. For a larger image go to the bottom of the post. The text is translated with the help of Google translate. 17. Lafrotiko cell of the Life Giving Fountain with two shops on ground floor: a) jewelry Chrysikou today tailor prev. Gabriel b) orologopoieio today tailor. In the early 20th century, functioned in the cell that produced a famous orologopoieio Athonite outstanding. 19. Abbey Building Workshop Koutloumousiou resident on the floor, which housed the forge floor. Formerly housed a grocery, manufacturing laboratory and argyrochoeio Torva Street. 20. Abbey Building Workshop Caracalla. The ground floor housed tsagarada to 1985. 22. Kelli Assumption, Abbey antiprosopeio Caracalla. 40. Building workshops “Royal Water”, the Great Lavra Monastery (ruins). At the eastern end of the workshop held served as brountzadiko and later as a cafe. 65. Road to the delegation of the Great Lavra, Gregory and Dionysius. This entry was posted in Karyes. Bookmark the permalink. Thank you so much!I am searching for months for a map of Karyes.I am Greek studying in Italy and doing my Thesis!Congratulations fol all the information! What does “antiprosopeio” mean, please? Thank you.